[vc_row][vc_column][vc_column_text]Young footballers in the popular Street Stuff programme received a timely reminder this week to ‘keep the fireworks for on the pitch’. Police Scotland, Scottish Fire & Rescue and Renfrewshire Council all attended a Friday night Street Stuff session at St Mirren’s indoor dome to deliver important firework safety messages to the players. Young footballers in the popular Street Stuff programme received a timely reminder this week to ‘keep the fireworks for on the pitch’. Regular Street Stuff players were joined for the session by players from St Mirren’s Junior Academy and first team star Sean Kelly. As a warm-up for the traditional Friday night game, players received an instructional talk of the dangers of misusing fireworks. Councillor Eddie Devine, Convener of Renfrewshire Council’s Environment Policy Board, said: “We’re getting into fireworks season and it’s important that as many young people as possible are made aware of the risks involved in misusing them. “We’ve got some brilliant players here showing some fantastic skills and the message is to keep the fireworks on the pitch! We have a spectacular display taking place in Paisley town centre, and that’s the place to watch fireworks. “Sessions like this are great for getting the message across because we get a captive audience at Street Stuff here for the football, and they are already aware of the risks and consequences of antisocial behaviour. Street Stuff is an award-winning programme designed to divert young people away from antisocial behaviour and low-level offending. Street Stuff kids got a special treat this week when two of St Mirren’s victorious Renfrewshire Cup-winning team dropped in on a training session. The young players got to meet Saints stars and local lads Marc MacAusland and Jason Naismith, scorer of the winner in a 1-0 victory over Greenock Morton in the annual clash. The surprise visit also gave the youngsters the chance to get their hands on the cup itself. Councillor Eddie Devine, convener of Renfrewshire Council’s Environment Policy Board, said: “I was a happy man to see St Mirren win the cup and I hope it’s the first sign that we’re in for a great season. 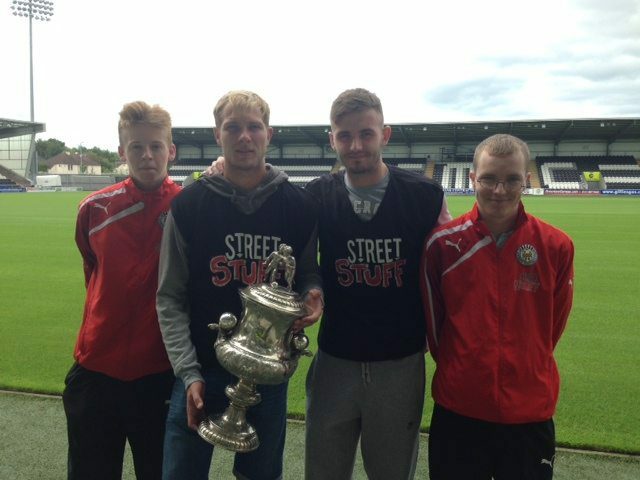 The award-winning Street Stuff programme is designed to divert young people away from possible antisocial behaviour and has lowered youth disorder rates across Renfrewshire. Ferguslie will once again host an annual football tournament as part of a drive to raise awareness on suicide within the community. Budding football enthusiasts have signed up their 7-a-side teams to the No Substitute for Life event on Sunday 29 June, 12pm-4pm. The memorial event will also host a wide variety of entertainment for children and adults of all ages including arts and crafts activities and a bouncy castle. Later on there will be an opportunity for bereaved family and friends to write a message for a loved one on a purple heart and attach it to the Ferguslie Memorial Tree. Councillor Iain McMillan, Convener of Renfrewshire Council’s Social Work, Health and Wellbeing Policy Board, said: “More and more people are finding it easier to talk about suicide and it’s great to see events like No Substitute for Life bring that message into the community. “Those who have been bereaved by suicide often find it difficult to cope with the loss of a loved one. This football tournament is a great way for communities to come together and support each other. The tournament is part of a campaign to raise awareness of suicide among young men and provide an opportunity for survivors of bereavement by suicide to commemorate their loved ones. The Football Tournament will be held in Ferguslie Park Sports Centre and the family activities will be held in the Tannahill Centre. The Survivors of Bereavement by Suicide (SOBS) support group meets on the last Tuesday of every month in the Charleston Centre between 7pm and 9pm. No Substitute for Life is organised by community volunteers in partnership with Choose Life, Recovery Across Mental Health (RAMH) and Engage Renfrewshire. Hundreds of community groups across Renfrewshire have a new online home – on a web-based hub for all local community and volunteering activity. 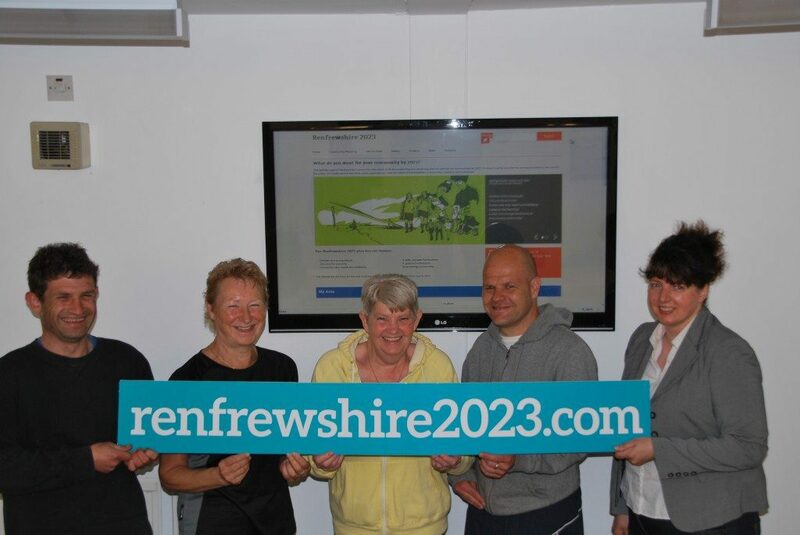 The new Renfrewshire2023.com site will help community groups, voluntary organisations and local charities to publicise their events and activities, link up with other local organisations and recruit volunteers for long-term projects and one-off events such as community clean-ups. Organisations will also be able to post new ideas for community activity and get help from other groups and volunteers to make them happen. The website is designed to support Renfrewshire’s community plan for 2013-2023 which has been developed by public bodies such as Renfrewshire Council, the police and the health service, and local community organisations. “Community groups and voluntary organisations are at the heart of our plan for Renfrewshire 2023. We have lots of organisations that are making a huge contribution to life in our communities and we want to encourage others to get involved. 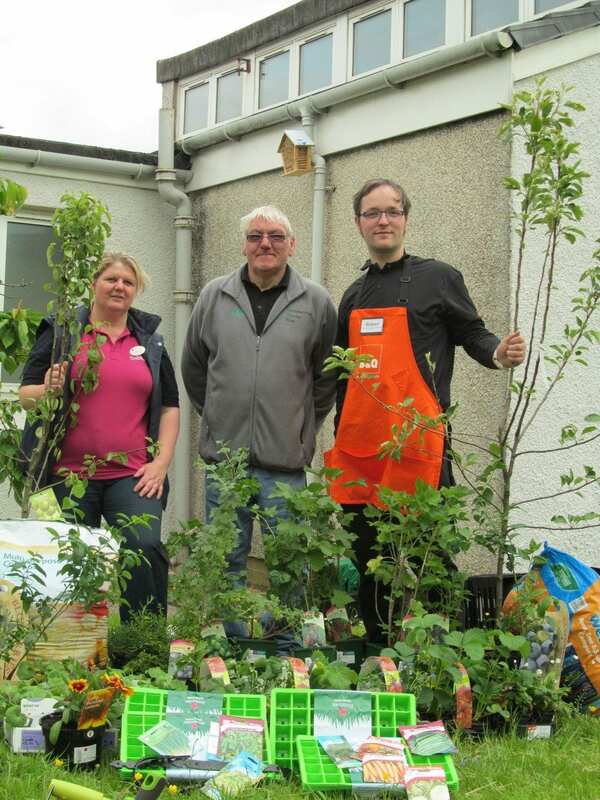 The photograph shows members of community organisations who viewed the new site at Engage Renfrewshire’s offices in Ferguslie Park: James McIntyre from the Environmental Training Team; Helen Moir, Ferguslie Seniors Forum; Paul Cadona, No Substitute for Life; and Sharon Wells from the Families and Schools Together (FAST) project. Renfrewshire’s community heroes recognised in special event. Winners of the Provost’s Community Awards celebrated at a special event held in their honour. Pulse FM’s Gus McLean joined Renfrewshire’s Provost Anne Hall at the event to recognise the special achievements of local heroes. This year the awards have been revamped into five distinctive categories. Over 90 people and organisations were nominated for an award. The award winners, their families and the people who nominated them were invited to the ceremony, held in the Alexander Wilson Suite, Paisley Town Hall. Provost Hall said, “It has been an honour to recognise such dedicated people in our community. All of the nominees for the awards contribute so much to the community and it has been a challenge to decide on the winners. I would like to say a big thank you to everyone who took the time to nominate a community hero. After the awards ceremony, the Provost awarded the first Distinction Certificates to recognise the outstanding achievements and contributions of citizens and organisation in Renfrewshire. The certificates were awarded to David Woodrow, Bishopton and Wilma Keenan, Johnstone. Two posthumous awards were given to relatives of Sam Coulter, Erskine and Mary McGettrick, Linwood. The Provost’s chosen charities also received a donation from the monies raised at the Provost’s charity events throughout the year. 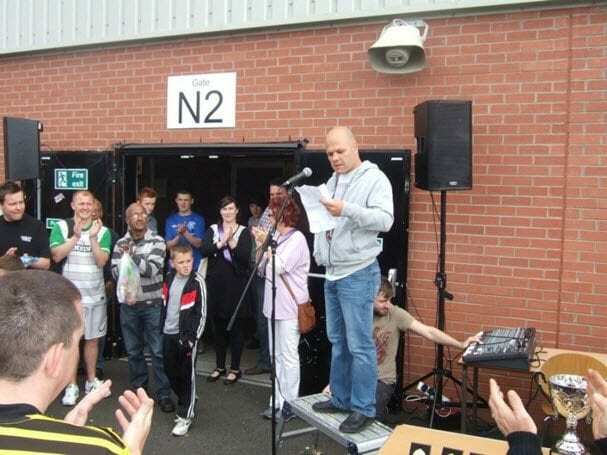 A total of £5,200 was raised and each charity received £1,300. 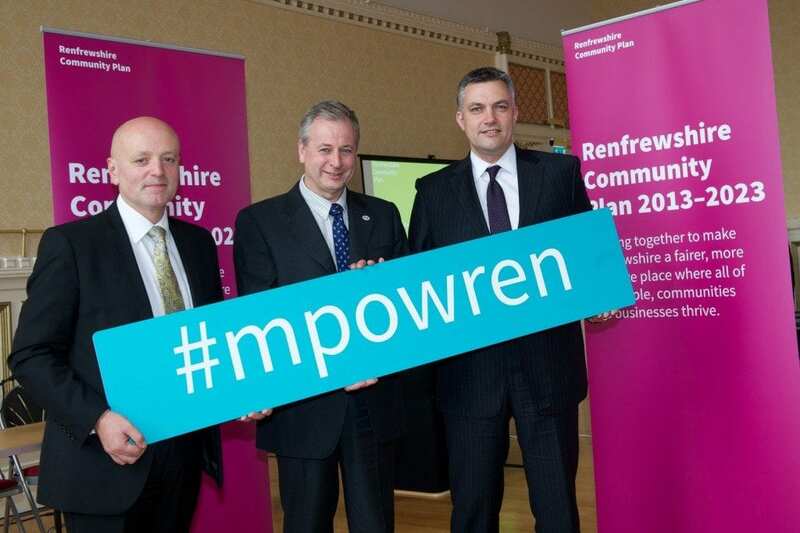 Conferences will make 2023 plan real for Renfrewshire communities. Leaders of Renfrewshire’s community planning partnership met with local community leaders at Renfrew Town Hall to launch a programme of conferences aimed at achieving ambitious targets for Renfrewshire by 2023. The community planning partnership is made up of Renfrewshire’s main public services, including the council, the police and the health service, along with representatives of community and voluntary organisations. The conferences will develop action plans for community and voluntary organisations and local residents to shape the plan to help them deliver better services and identify areas where they can help with the delivery of services. Renfrewshire Council Leader, Councillor Mark Macmillan, said, “Community planning is about involving local people in shaping and delivering the services that they need. The themes of the community plan reflect the big issues that face Renfrewshire and the shared priorities of the council, the police, the health service and all of our other public services. Alan McNiven, Chief Executive of Engage Renfrewshire, which supports voluntary organisations, community groups and charities in the area, said, “One of the most important things about this community plan is the central role local voluntary and community organisations will play in developing the plan and achieving its targets. “You only need to look around to see the important role that community organisations and charities have in delivering services, such health care, social care, child care and sport and leisure to Renfrewshire’s communities. The increased involvement of these organisations will play a big part in ensuring that the community plan achieves its aims. lesley.jones-ce@renfrewshire.gov.uk or call 0141 618 7353. ROCCO 2013 – Still time to enter…. The ROCCOs are the annual business awards of Renfrewshire Chamber. Now in their 10th year, they are the main corporate event in Renfrewshire. The ROCCOs are fast paced, fun and a great way for local businesses to get recognised for their success and reward staff & clients. This year the Chamber has 16 categories – all free to enter. Companies & organisations can enter as many as they wish. Entry is open to all members based anywhere AND non-members that are based in Renfrewshire. Deadline for entry is 9am on Monday 16th September – so still time to enter. ROCCO 2013 main sponsor is Life Technologies whose EMEA HQ is in Inchinnan. Shortlisted companies & organisations (excluding Business Leader) will get invited to attend a panel interview / presentation in October – the 3 judges will be sponsor, a Chamber Board Director and a neutral subject matter expert. https://i1.wp.com/www.paisley.org.uk/wp-content/uploads/2013/07/rocco2013.jpg?fit=1026%2C437&ssl=1 437 1026 Brian McGuire https://www.paisley.org.uk/wp-content/uploads/2015/09/paisley-logo-trans.png Brian McGuire2013-09-05 13:24:002013-09-05 13:24:44ROCCO 2013 – Still time to enter…. Community activists from Ferguslie Park got the chance to have their say on issues affecting the area at a special event run by council and police staff. The event offered residents a platform to find out more about community safety work in the area, and speak to those delivering it. Earlier this year, council staff joined forces with local police to conduct a series of interviews among Ferguslie Park residents, seeking their opinions on community safety in the area, and on what they wanted to see from the authorities. The event was used to feed back the results of that, with key findings being that residents want more visible patrols and better facilities for young people. Speakers on the night included Alan McNiven, chief executive of Engage Renfrewshire, the area’s voluntary sector partnership, and police Divisional Commander Alan Speirs. Topics covered included an overview on how the police and council anti-social behaviour staff work in partnership on community safety issues. In total, 17 organisations were represented, including Victim Support, Fire and Rescue Scotland and the council’s trading standards and welfare reform advice teams. 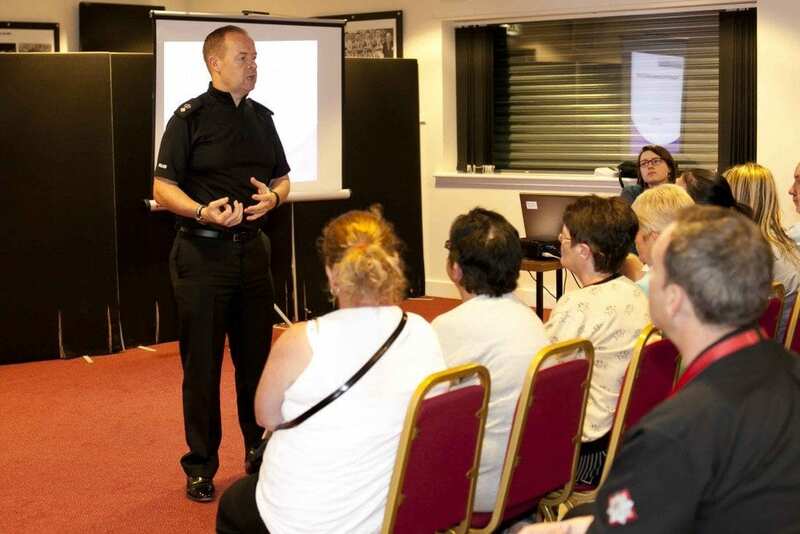 Including partners, around 60 people attended the event, held in the hospitality suite at St Mirren Park. Councillor Tommy Williams, Convener of Renfrewshire Council’s Housing and Community Safety Policy Board, said: “The issues affecting Ferguslie Park have been well publicised over the years. “But something that comes across at events like this is the strong sense of community that exists in the area. “We want to celebrate the work of those who are involved in that community and work with them to help make the best of the area. Inspector Kenny Morrison, based at Ferguslie Park police office, added: “We held this event to find out more about what people in the area want from us. “What we plan to do now is work with them to put that into practice. Residents can contact Police Scotland by calling 101, or Renfrewshire Council Community Safety Services on 0300 300 0380. The project began as a one off offer of a garden tidy being offered as a raffle prize for Kersland School’s BBQ Fundraiser which was on Friday 21st June but soon developed into promises of a major overhaul of all the garden areas and continuing maintenance. B&Q are also helping out through their waste donation scheme providing pallets, paint, tiles and paving slabs which although unsellable will be usable in some way during the project.